Since the invention of wine, 5,000 years ago, vinegar has been known to have many uses: it was added to drinking water, used as an antiseptic, as a condiment or for preserving food. It was originally the chance result of a natural process. The mysteries of science over the centuries can explain this transformation. In 1865 Louis Pasteur noted the equations of acetic fermentation and discovered the active ingredient: acetic bacteria he named Mycoderma aceti. It lives on the surface of the wine (by forming a white veil), and its action is to fix the oxygen in the air and mix with the alcohol molecules to transform into acid (acetic acid). The traditional method or “Orleans method” is the best known and oddly the least used. Few Master Vinegar-Makers still use this method (because of the demands of industrialisation). Here in Anjou we use this Louis Pasteur method, otherwise known as the "surface method". It is slow, without any stirring, without the injection of air or bubbles or artificially added acids. All the work is done in 220 litre oak wine barrels (from Bordeaux and Burgundy). They are half filled with wine, to provide the maximum contact between the wine and oxygen from the air. Air passes through a hole ( the "eye", seen in photo) and feeds the bacteria with oxygen. They grow naturally on the surface of the wine, forming a thin veil called "The Mother of vinegar ". 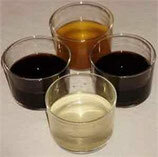 Unlike wine, vinegar is manufactured at an ideal temperature of 30 ° C.
In the dark, the process requires 5 to 8 months to completely acidify the wine. After analysis, the vinegars are racked and bottled. In our Vinegar, everything is handmade. The extraction is carried out by gravimetry. The filling of bottles, waxing, stamping and labelling are also all done by hand, allowing a thorough check of our products before final packaging. 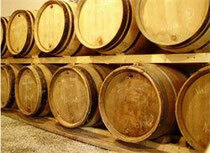 We attach particular care in selecting the wines that we make into vinegar. We know the growers whom we work with personally – we know their vineyards, the work they do in their cellars, their winemaking methods – and we understand their way of working the vineyards and how they use the soil quality and their winemaking knowledge. 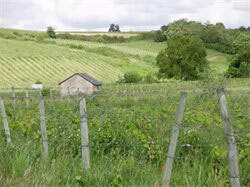 Some vineyards are used exclusively for growing grapes to make vinegar. 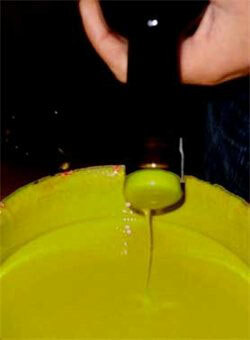 In our vinegars we have traceability: the vinegars can be traced back to the origin of the grapes. Some of our grapes come from Domaine BECLAIR, 49190 Rochefort-sur-Loire, where one of our staff helps make wine using no chemicals, and the work is recognized by Ecocert: (certificate of Ecological quality) It is wine made with a slow fermentation and without added sulphur (or a minimum). At Domaine Ste Catherine Rochefort-sur-Loire, at a beautiful site overlooking the Loire Valley, the culture of the grapes uses no herbicides and the grapes are always hand-picked. 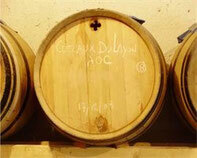 Our vinegars, with a slow maturing in oak, retain the taste of the wine from which they come. Our motivation is to make gourmet vinegars. Many recipes are on offer in this site. 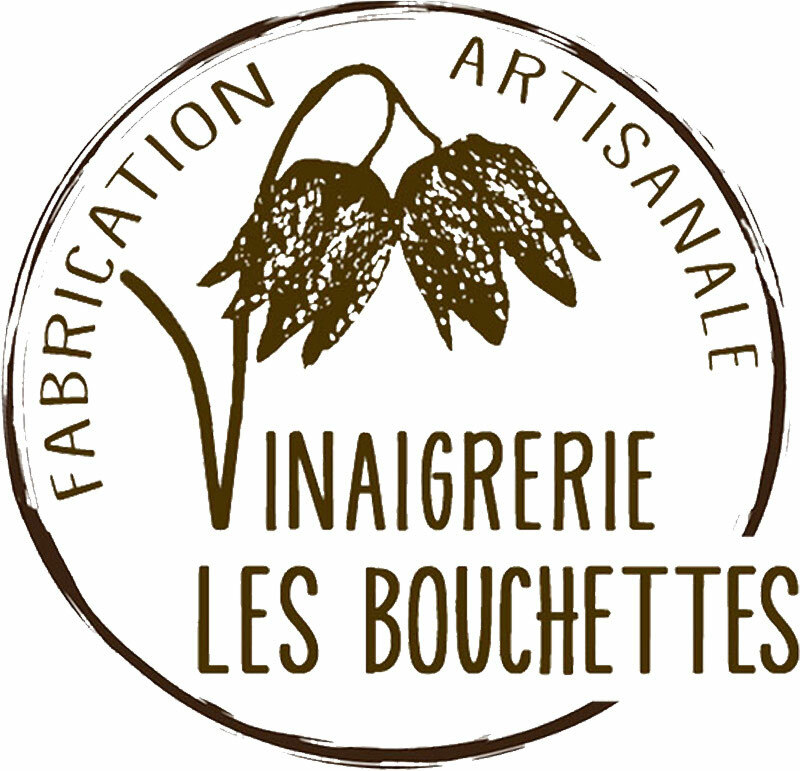 For example, you will appreciate our Anjou Rouge Vinegar for its earthy perfumes. The origins are the peppery Cabernet grape, and it is often used as a salad dressing, or to accompany meat and game.